Gayang is a neighborhood that can pretty succinctly be summed up by saying this: It’s a good place to raise a family. You know this neighborhood. Maybe you even live here. It’s a pretty new part of town. The apartment towers and commercial buildings are clean, tidy, probably less than a couple decades old. On the main streets the buildings are both those things: commercial space on the first floor or two – real estate agencies, restaurants, low-key pubs, chain bakeries, cafes – apartments on the rest. The neighborhood’s ajummas, being ajummas and knowing no other way, bless them, still set up their stalls or tarps and sell herbs and kimchi and rice snacks on the sidewalk, but apart from that and apart from a few older buildings in the backstreets off Exits 6 and 7 that house auto-bodies and factories, the area is a pleasantly bland new part of the city. A good place to raise a family. But the most interesting things in Gayang all revolve around the neighborhood’s favorite son, the late-sixteenth-and-early-seventeenth-century physician Heo Jun, the father of Korean medicine. Heo was born here, wrote his major treatise on Korean medicine here, and spent his final days here, and the northwest side of the neighborhood is filled with memorials to the doctor. The last three installations on the street focus on Donguibogam (동의보감), Heo’s renowned medical treatise, which was listed on UNESCO’s Memory of the World Register in 2009 in recognition of its contribution to medicine and its influence on medical practice not only in Korea, but in China and Japan as well. The first of these installations, ‘Story About Donguibogam’ (동의보감 집필 이야기), is a panel that displays excerpts and images from the book, like drawings of the eye and internal organs. 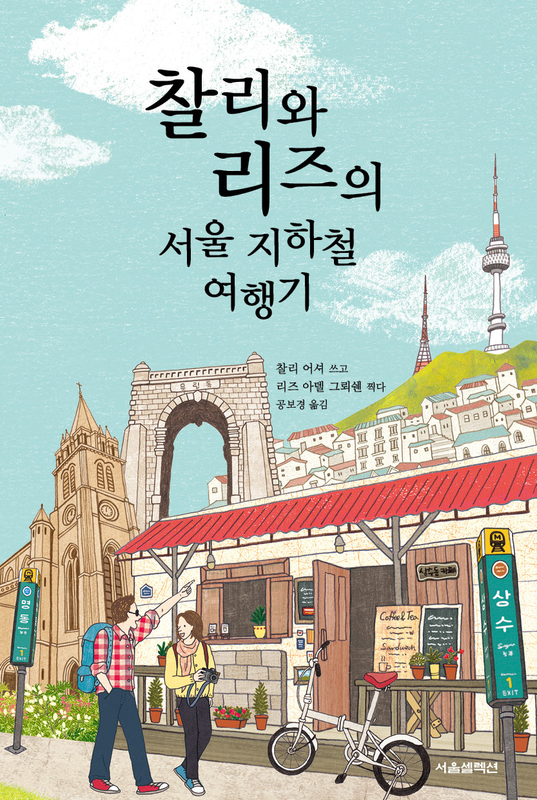 The second is the poorly titled ‘Donguibogam, the best of bestsellers among books on Oriental medicine’ (동양의학 최고의 베스트셀러, 동의보감), as if the tome’s value came from its Amazon ranking. (And in case you’re thinking that maybe that’s just a clumsy English translation, nope; it’s in the Korean too.) Lastly, at the far end of the street, ‘Donguibogam receives attention of the world citizen’ (세계인의 주목하는 동의보감) commemorates the book’s recognition by UNESCO, which, according to the installation, was a first for a book about health and medical care. Another landmark it claims was that Donguibogam was the first time in the world a book had developed ideals of preventive medicine and public health care by the state. At the end of Heo Jun Theme Street is the Heo Jun Museum (허준박물관), built in 2005. Although some of the English on display is in need of treatment (‘…he played a decisive role to level up Korean traditional medicine.’), the museum is informative and generally more interesting than I had expected a museum about a 16th century physician to be. Its first section focuses on Heo’s biography as well as more general information about the practice of medicine during his time. There are medical texts from the period, examples of clothes worn by physicians, and information on euinyeo (의녀) – female slaves of the state who were given training in order to become medical assistants. Despite Heo’s great talents and his close relationship with the royal court, his life wasn’t without its difficulties. When King Seonjo died in 1608, as his main physician Heo was held largely responsible and was exiled from the capital. But even this ultimately benefited Heo and assured his legacy, since it was during exile that he found the time to write Donguibogam, to which much of the museum is dedicated. The book’s 25 volumes covered everything from internal medicine to acupuncture to herbal remedies. First editions of the work are now stored in the National Library and a library at Seoul National University. Roughly half of the museum concerns itself more broadly with how medicine was practiced in Heo’s day. There are exhibits about medicinal herbs and plants and how they were traditionally used, together with displays of tools that were used for gathering wild herbs, millstones and mortars for grinding ingredients, kettles for boiling infusions, and the Chinese medicine chests used for storing the many herbs and roots of Eastern medicine, chests that you can still see in Oriental pharmacies today. Visitors can also check out a scale layout of Naeuiwon, the royal hospital. Once you’ve made your way through the museum, the exit leads to a rooftop garden and observation pavilion that offers uninspiring views out over the Han River – devoid of mountains and filled with highways and low-slung warehouses, the riverside north of Gangseo-gu is without doubt the dullest stretch in the Seoul area. The garden, however, features some pleasant benches and trees, and it leads to an herb garden, where the museum grows the plants that Heo presumably used in his treatments. The exit from the garden drops visitors off at the building’s rear, and from there I hooked back to the left on the street running behind the museum, hugging the little ridge that the herb garden grows on. The sidewalk is lined with a couple more installations dedicated to Heo’s work on on Donguibogam, and these lead, via some stone steps, down to Heogabawi (허가바위), or Heoga Rock, Seoul Monument No. 11. According to an on-site plaque, this was the birthplace of Heo Seon-mun (허선문), Heo Jun’s ancestor and the progenitor of the area’s Heo clan. There’s a cave in the rock, and its triangular entrance is big enough that I could walk into it comfortably. The cave itself wasn’t deep, maybe about five meters. Its height was perhaps half that. The interior was geometric, a negative pyramidal space, and it felt almost like being in a giant tent made of rock. According to a local historical record, Heo Seon-mun lived here around the time that the Goryeo dynasty was founded, in the early 10th century. If true, it was an almost absurdly humble beginning for a family that reached great heights. In addition to Heo Seon-mun, who served Wang Geon, the founding king of Goryeo, and Heo Jun, the family also included Heo Gyun, who wrote ‘The Tale of Hong Gildong,’ his sister Heo Nanseolheon, a famous poet, and Heo Jong, a renowned military commander. Just north of the rock and the museum is Guam Neighborhood Park (구암근린공원). Guam was Heo Jun’s pen name, and the park too pays heavy tribute to the man. Within the park is another statue of the doctor, this time tending to a sick patient, and the large central plaza is paved in a pattern that forms a cartoon image of Heo. Along with the usual athletic facilities and playground equipment, the park also has a large artificial pond. A rock island sits in the middle of the water, and when I stopped by a single heron was perched, unmoving, on the rock. Across the street from Guam Park, an elevated walkway leads over the highway to a stretch of the Han River Park (한강공원), but there’s almost nothing to do in this section. The land available between the highway and the water is too narrow, leaving space only for biking and walking paths and a couple of wooden platforms, one for fishing and another just for looking out over the water to the low hills beyond.